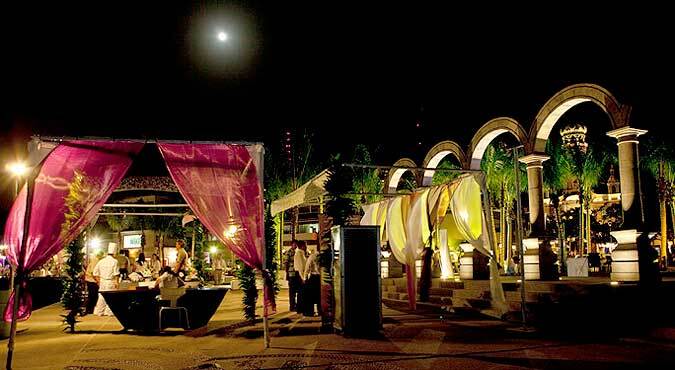 5th Night Free at Dreams Villamagna Nuevo Vallarta! There’s nothing more relaxing than a Dreams® Resorts & Spas summer vacation — except the chance to stay in paradise even longer! This #TravelTuesday, we’re excited to tell you how you can enjoy a fifth night on us in beautiful Puerto Vallarta. Enjoy a 5th night free when you book the required room category at Dreams Villamagna! Dreams Villamagna welcomes the Classic Rock Festival! The Vallarta-Nayarit Classic Rock Festival will be held December 11-15, 2014 throughout Nuevo Vallarta, Riviera Nayarit, and Puerto Vallarta, Jalisco. Festival producer John Zaring of the Los Angeles, CA-based Zaring Group announced 19 acts that will appear, including Americana rockers the BoDeans, blues favorites Fabulous Thunderbirds, rock-a-billy specialists Lee Rocker and Slim Jim Phantom of the Stray Cats, country rockers Poco, Pure Prairie League and Firefall, and iconic classic rock bands Jefferson Starship, Kansas, Cheap Trick, Foghat and Spencer Davis Group. Several solo artists and singers will have their sets backed by the festival’s all-star ‘house band’! Learn more about the event here! Follow us on Facebook to see your favorite resort photos and stay up to date on upcoming events! There are so many great things about Dreams Villamagna Nuevo Vallarta and one of them is that it’s right in the middle of some of the most gorgeous scenery in Mexico. Not only are you nestled along Banderas Bay, but you have views of the Sierra Madre Mountains and are surrounded by the lush jungle, giving you lots of opportunities for fun excursions. 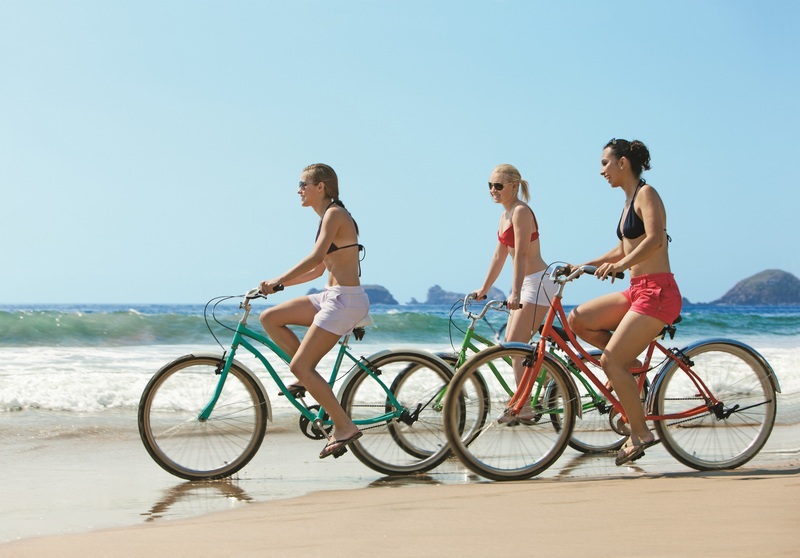 One of our favorite excursions is included in our Unlimited-Luxury® experience – the bike tour through Puerto Vallarta. Join us on this leisurely bike ride as you experience first-hand the charm of Puerto Vallarta, the famous El Malecón boardwalk, shops and more. It’s the best way to see Puerto Vallarta. Want to partake in this special activity? Check out the sundial or inquire with our concierge! 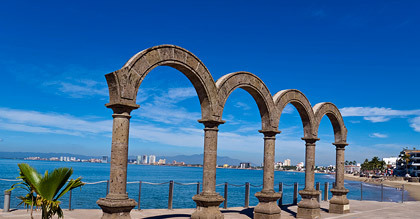 El Malecón features many pieces of art, including these arches. Have you experienced and enjoyed Unlimited-Luxury® and all its inclusions at Dreams Puerto Vallarta Resort & Spa? If so, we need your votes. This year, Dreams Puerto Vallarta is honored to be a finalist for About.com’s Readers’ Choice Awards in the category of Favorite All-Inclusive Resorts in Mexico and we’d love to win! Please vote for Dreams Puerto Vallarta now and help us win! Voting ends March 19th and readers are allowed to vote once a day. Oceana Restaurant Now Serving Breakfast at Dreams Villamagna! We are excited to announce that guests at Dreams Villamagna Nuevo Vallarta now have an additional breakfast option! Picturesque Oceana Restaurant is now open for à la carte dining from 8 to 11 AM. Come join us for delicious breakfast specialties like the ‘Norwegian,’ a bagel with smoked salmon and scrambled eggs with a lime butter sauce accompanied by hashbrowns and bacon. It will definitely be the right way to start your day. To learn more about the various dining options at Dreams Villamagna, please visit the resort’s website here.